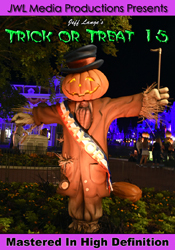 We went back to Disney’s Fort Wilderness Resort yesterday to see both the Halloween golf cart parade as well as to enjoy a Halloween version of Mickey’s Backyard BBQ! 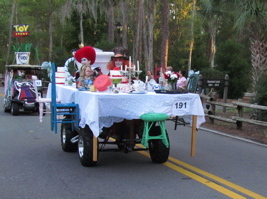 Our favorite golf cart was the Mad Tea Party from Alice in Wonderland (below, left). 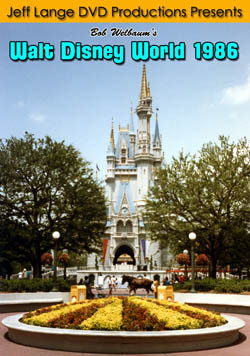 The guests said it took them 3 months to build! 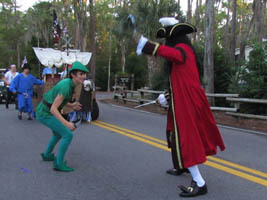 There were many unique and wonderful entries into the contest, including Peter Pan and Captain Hook (below, right) with a pirate ship – and more characters – behind them. 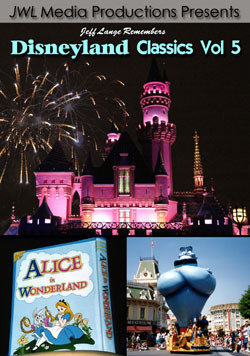 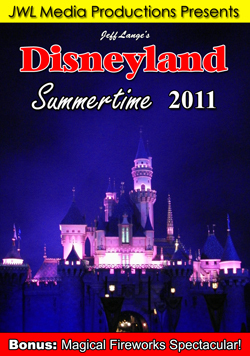 This is one of our favorite Disney events of the year! 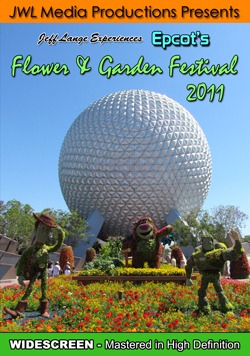 Other terrific entries were Mater from Cars 2 (below, left), along with a landspeeder from Star Wars (below, right). 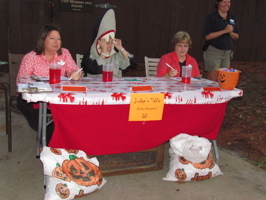 The judges table had a sign that said “Bribes Accepted”, and guests in carts would occasionally throw candy at them. 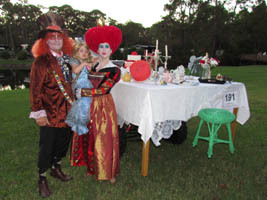 The best overall winner was the Alice in Wonderland cart, we were fortunate to get photos of the guests as they stood next to their creation (below, right). 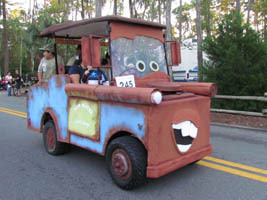 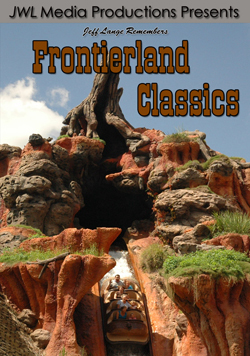 Video #1 – Disney’s Fort Wilderness Campground “Halloween Golf Cart Parade” Highlights 2011 – We love the Fort Wilderness Halloween Golf Cart Parades! 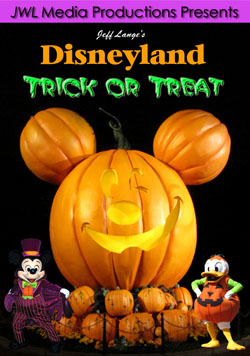 This one was on Halloween day, 2011. 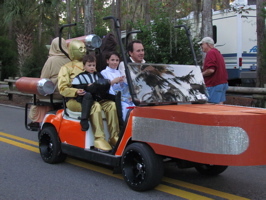 Guests decorate their golf carts, winning prizes for: Best Overall, Best Disney Themed, Most Unique and Most Creative! 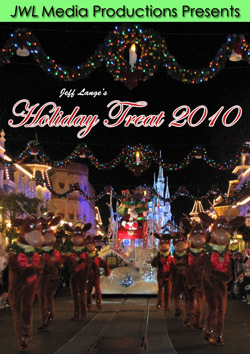 Check out last years parade HERE. 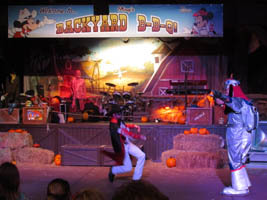 We loved the Halloween version of Mickey’s Backyard BBQ (below, left). 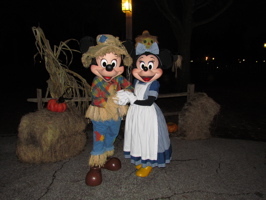 Mickey and Minnie were waiting to greet us as we arrived (below, right). 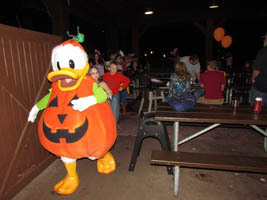 Many of the characters were dressed in their Halloween finest. 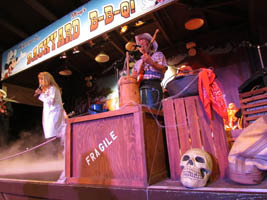 The band was terrific, and sang mostly Halloween themed songs such as “Monster Mash” (below, left). 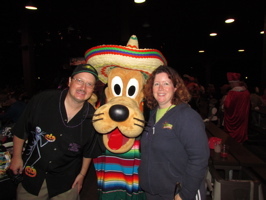 We had our photos taken with many characters, including Pluto in his sombrero (below, right). 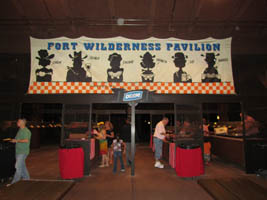 Video #2 – Disney’s Fort Wilderness Backyard BBQ, Halloween Edition 10/31/11 Characters in Costume – We enjoyed the Backyard BBQ at Fort Wilderness on Halloween night! 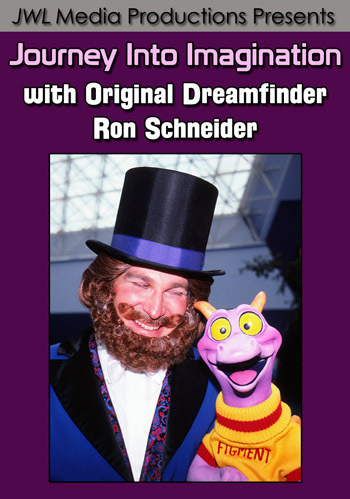 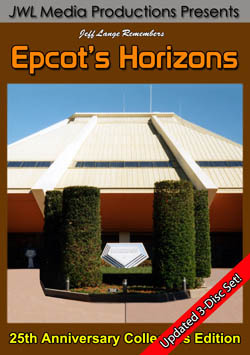 It was a one night only special show featuring the characters in their Halloween costumes, Trick or Treating on your way out and a bonus character greeting at the exit. 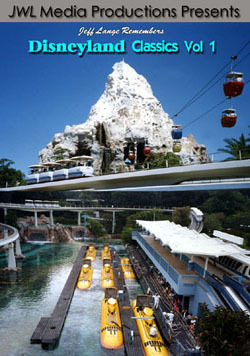 Donald was the leader of a large conga line (below, left). 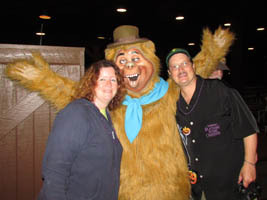 We even met Wendell from The Country Bear Jamboree (below, right). 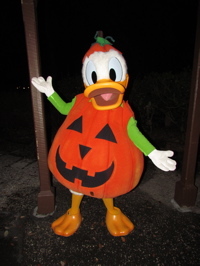 Video #3 – Singing Pumpkins Halloween Night at Fort Wilderness Backyard Barbeque 10/31/11 – This was spotted as you exited the Backyard BBQ at Fort Wilderness on Halloween night! 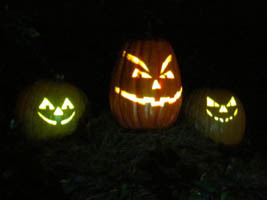 They are very similar to the singing pumpkins found in the graveyard at Disneyland’s Haunted Mansion Holiday! 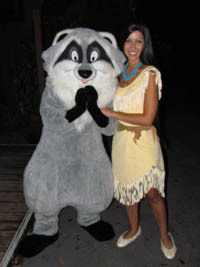 Donald poses one last time for us (below, left), and Meeko and Pocahantas smile for our camera (below, right). 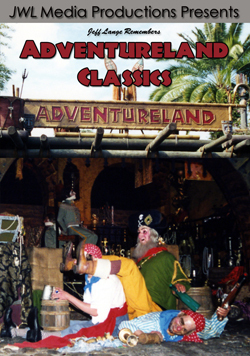 We had a blast with all the characters! 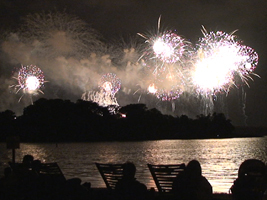 After Mickey’s Backyard BBQ, we enjoyed Happy HalloWishes from the beach as Halloween was of course a Mickey’s Not So Scary Halloween Party night (below, left). 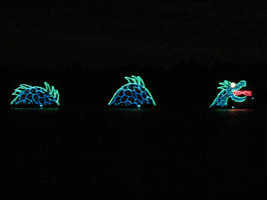 The Electrical Water Pageant followed soon after (below, right). 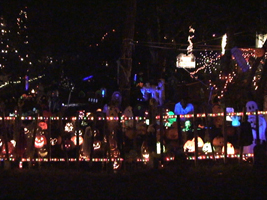 First place in the Halloween Site Decorating Contest (below, left) was by a family we’d seen a couple of years earlier, when they’d won first place for a similar setup! 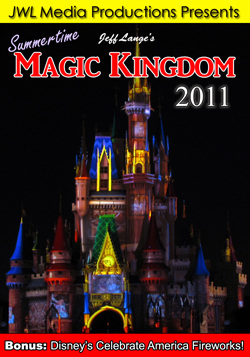 They’ve been decorating for ten years, adding on each year. 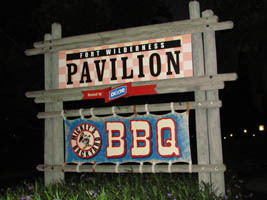 While many campers have the same sites year after year, we didn’t realize they’ve been around each year since they have moved around the campground. 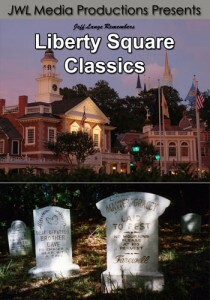 The graveyard they created was very spooky (below, right). 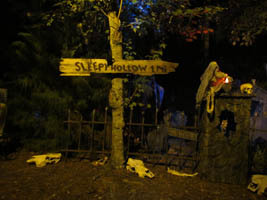 The sign says that Sleepy Hollow is one mile away (below, left). 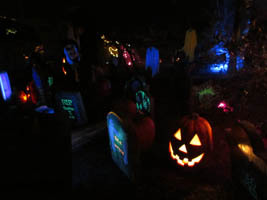 Pumpkins glow in the midst of the graveyard (below, right). 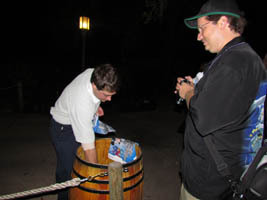 Congratulations to the three winners, who received nice prizes (such as a specialty pontoon boat cruise and fishing excursion). 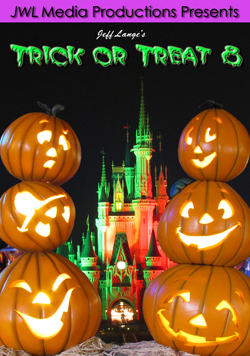 Once again we had an awesome Halloween at Fort Wilderness this year, perfect weather, good friends and great entertainment… what a night! 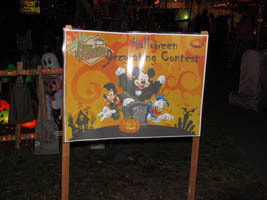 Video #5 – Disney’s Fort Wilderness Halloween Campsite Decorations Winners 10/31/11 Walt Disney World – Disney’s Fort Wilderness Campground site decorating contest winners on Halloween night!